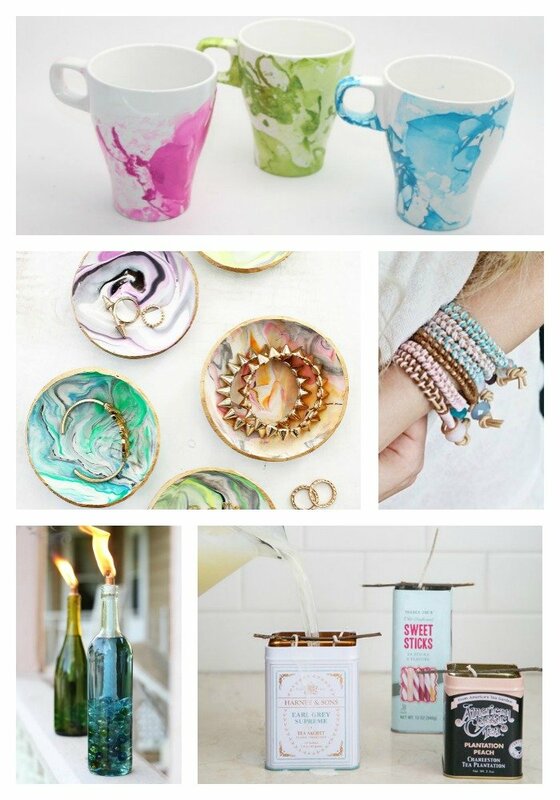 I have a list of favorite blogs that consistently feature amazing projects, from easy DIY, to crafty, to “Wow! 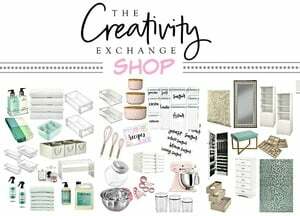 How did you come up with that?” I hope these creative craft projects other bloggers have made and featured on their blogs inspire you to create something beautiful yourself! 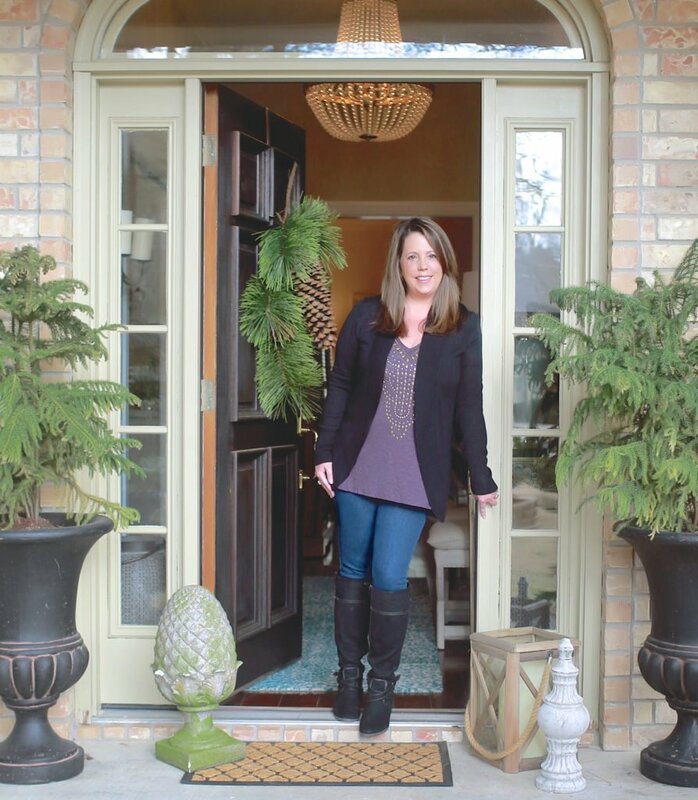 Walking up to your front door and this adorable flower pot wreath will make you, and your guests, smile every time. 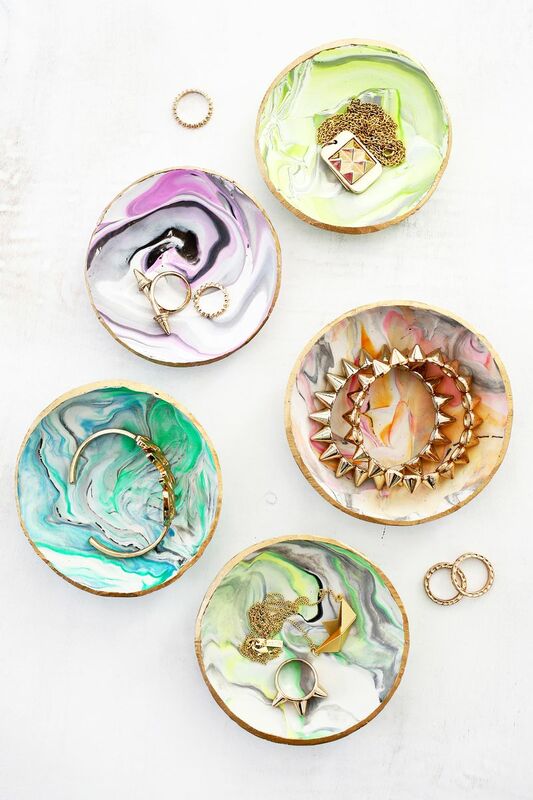 Create pretty DIY marbled ring dishes in fun colors. 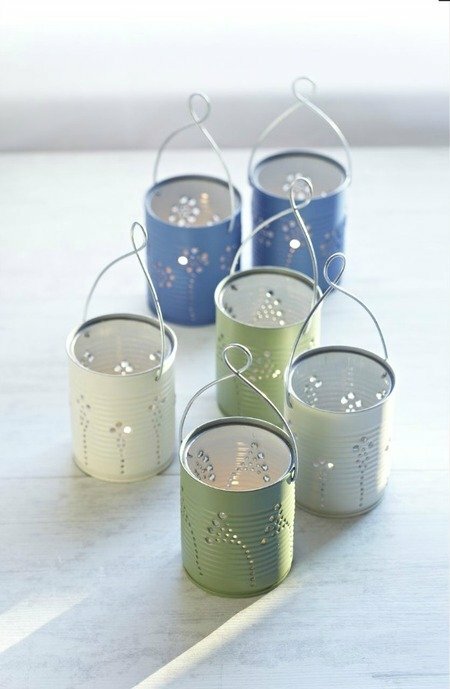 Upcycle tin cans into these charming tin can lanterns, pop in a candle, and hang them around your backyard for a lovely evening glow. 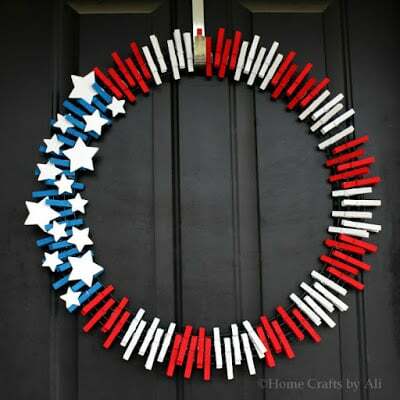 Add a touch of Americana to your front door with this easy DIY patriotic clothespin wreath. 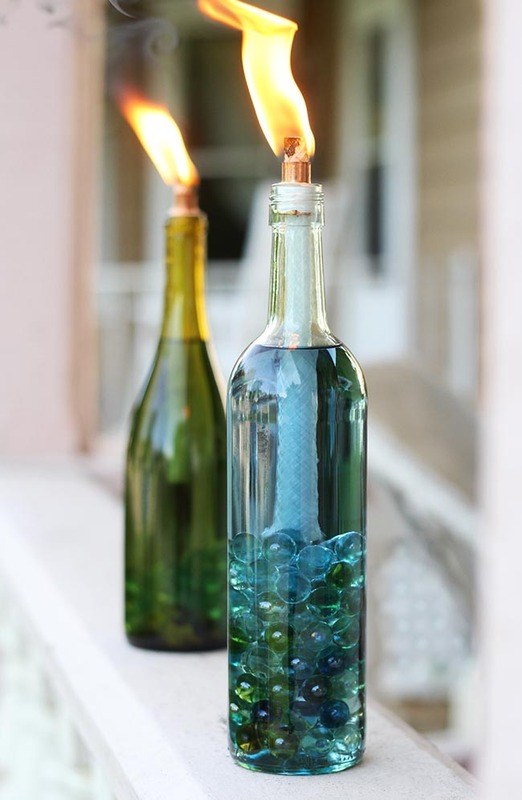 Recycle your prettiest wine bottles into these gorgeous citronella candles. The glass marbles add even more beauty. 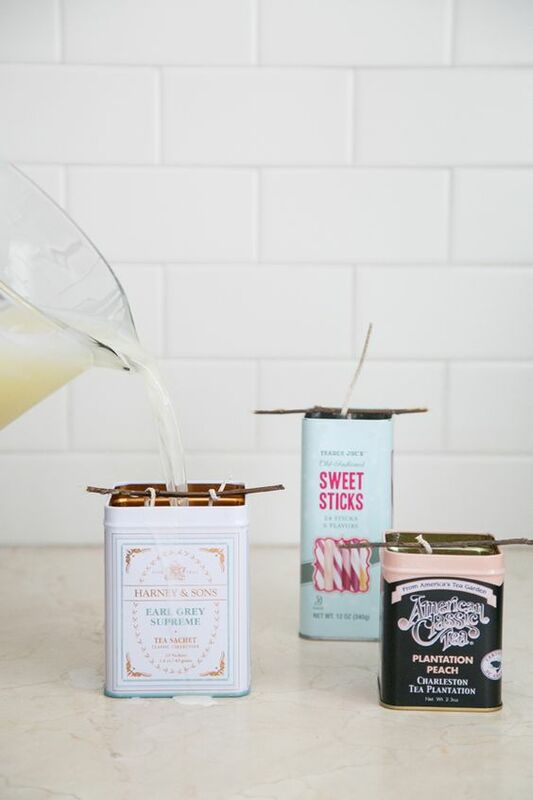 Recycle old tins by making outdoor citronella candles for the patio. 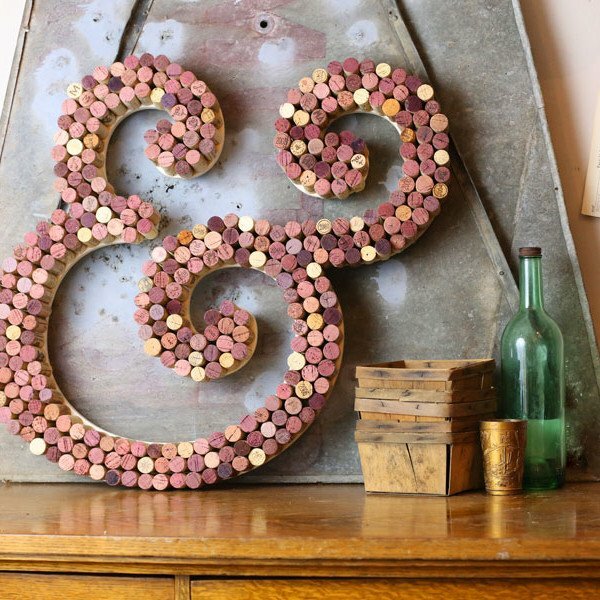 Save your wine corks, and turn them into this awesome monogram. Your friends will beg you to make one for them, too! 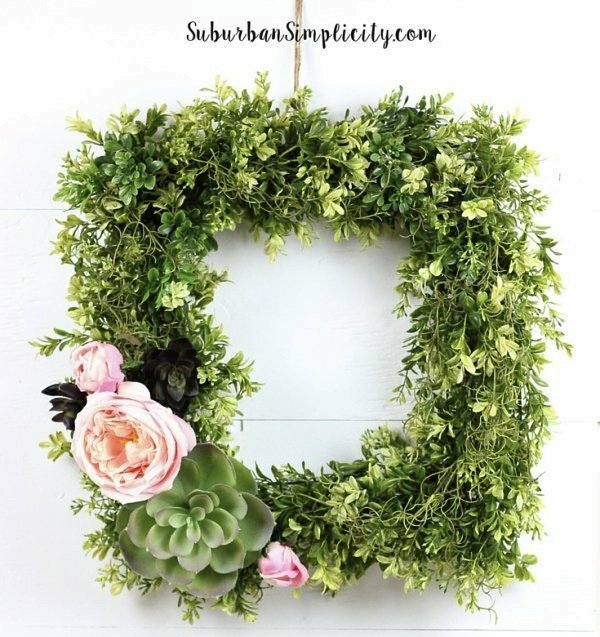 This succulent and boxwood wreath is easy to assemble and brings a lovely touch of the outdoors inside. Get creative by making these chic leather bracelets. 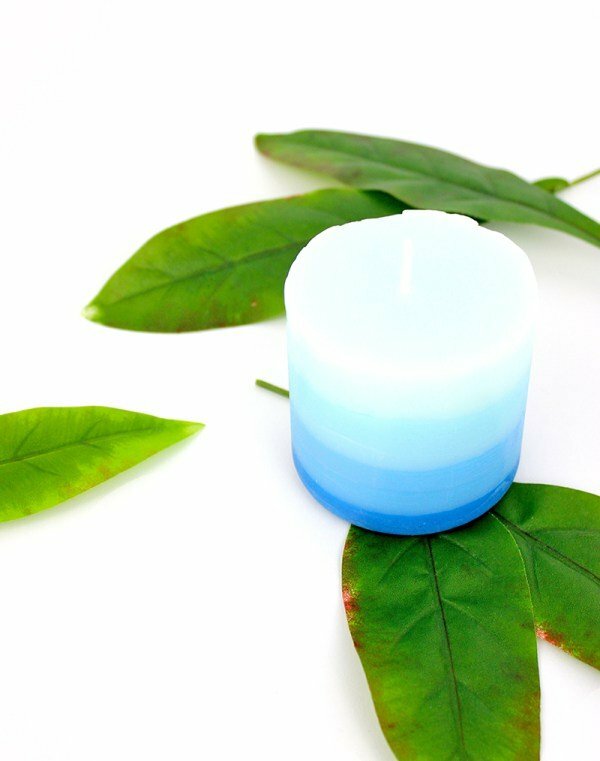 Making your own candles takes a little time but isn’t hard, and this DIY ombre version is so pretty. 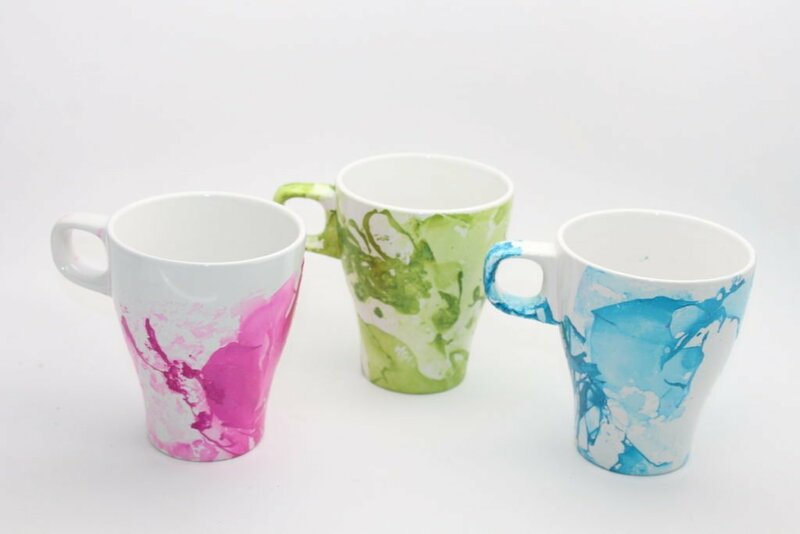 Can you believe these marbled mugs are made with nail polish? They are! 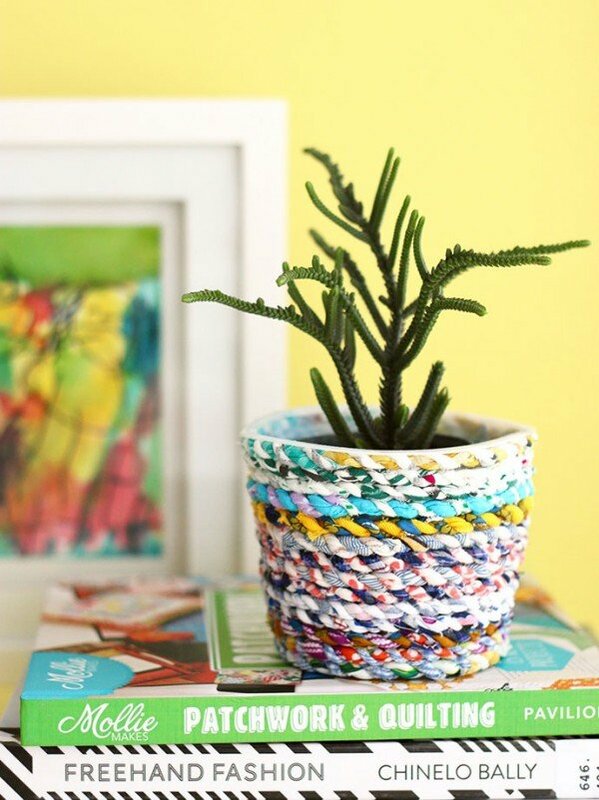 Give your flower pots a quick makeover with colorful fabric twine. Follow the tutorial for DIYing your own twine from fabric scraps, or use store-bought. 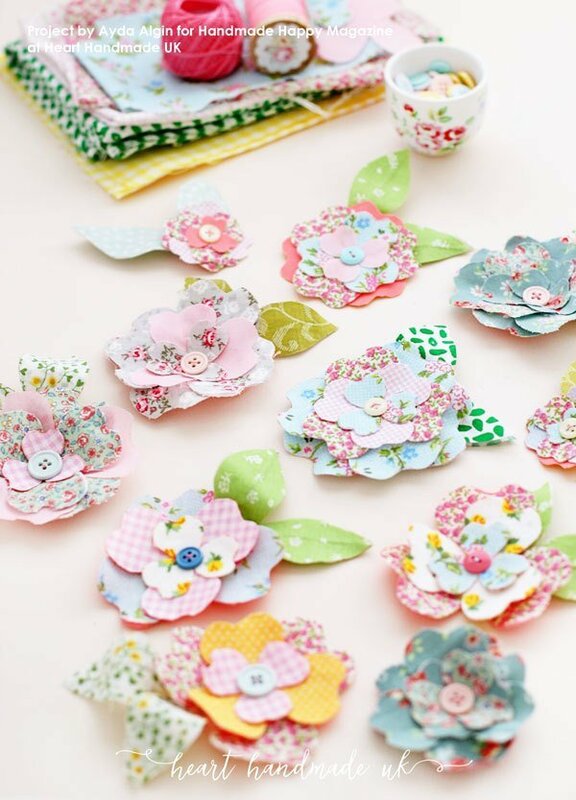 These fantastic fabric flowers will be lovely adorning gifts, strung together as a garland, affixed to a barrette or hair tie, or used in so many other ways. 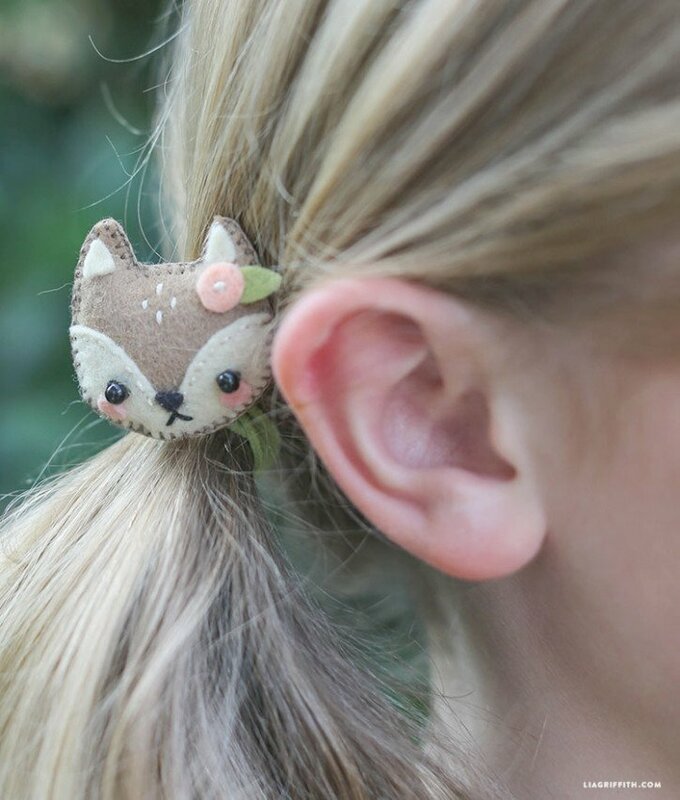 Felt woodland critters from Lia Griffith make the cutest hair accessories for little girls, or you can add pin backs to create pretty brooches. Transform buttons into a colorful monogram for a nursery or child’s room. Use whatever color buttons your little one likes! 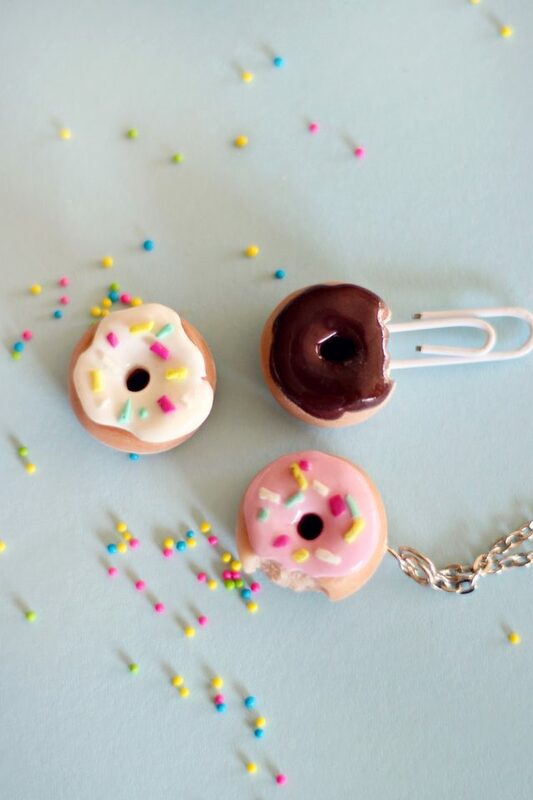 These adorable polymer clay doughnuts are so versatile, you’ll want to “bake” a dozen to use as necklaces, rings, hair accessories, keychains, and more! 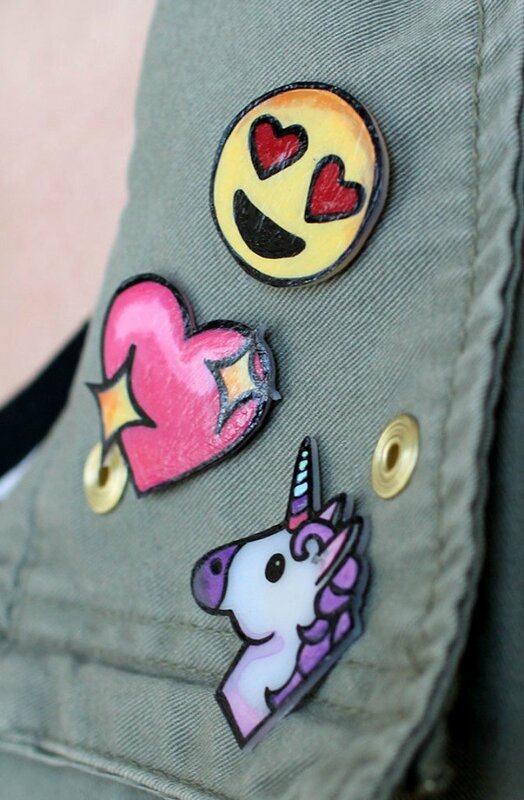 If you love emojis, you’ll have a blast making these emoji lapel pins with Shrinky Dinks. They’d be a super fun activity at your child’s next slumber party (with adult supervision around the oven and glue gun). Seeing what other creative folks are doing usually inspires me to make something, too, either following their lead or dreaming up something of my own. 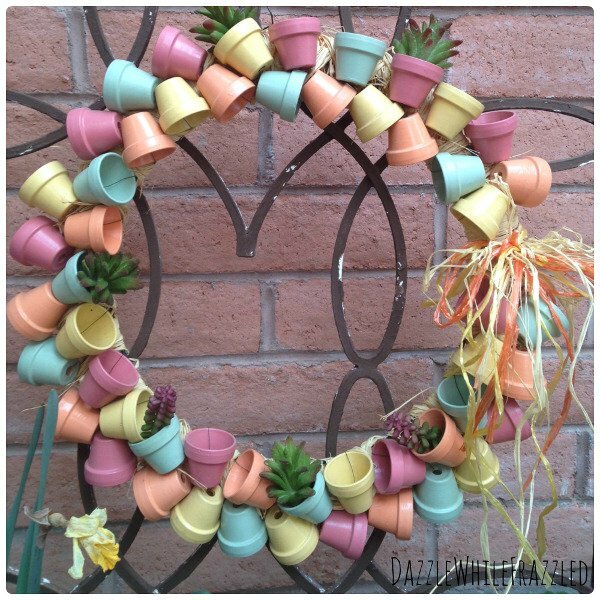 I hope these creative craft projects help jump-start your creativity!